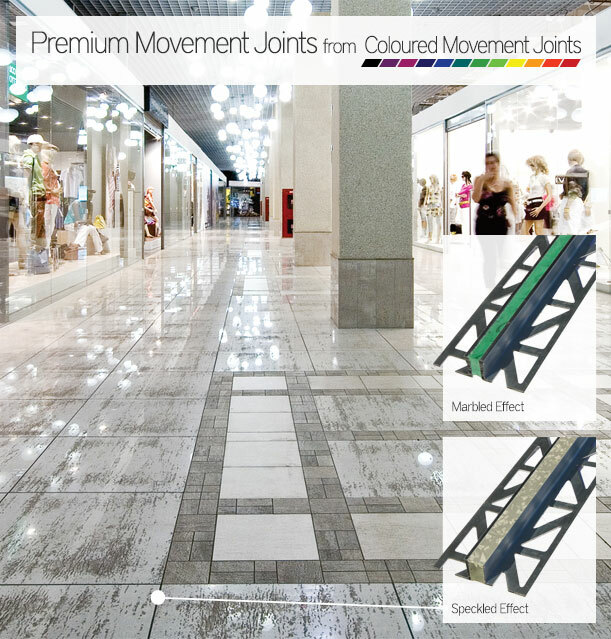 Coloured Movements Joints are proud to introduce Premium Movement Joints for installations where elegance and sophistication combine for a ‘wow-factor’ installation. Ideal for Hard Flooring, Natural Stone and Slate, our Premium Joints create a stylish designer look for high-end applications. We are now able to offer movement joints with a speckled effect and a marble effect, which will beautifully complement any designer floor application.